About Business Loans from BusinessLoans.com.au | Contact us today! you want choice, not complexity. You want simple products but powerful solutions. You want a fast and easy online process (but with the option to speak to a Relationship Manager). We get you. That's why we created BusinessLoans.com.au. Getting the right finance for your business can mean the difference between success and failure. At BusinessLoans.com.au you’re in control. Full loan product range – gives you more choice. Transparent pricing - fully disclosed rates upfront. Simple products - all our loans are simple, declining balance loans where you pay interest only on the principal outstanding. You're in control - we provide tools, calculators and guides to put you in control. 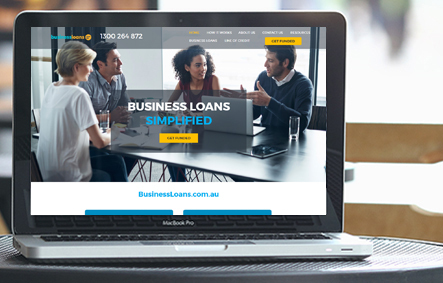 businessloans.com.au is a brand of ACN 601 158 507 Pty Ltd. ACN 601 158 507 Pty Ltd trading as businessloans.com.au is a wholly owned subsidiary of GetCapital Pty Ltd and part of the “Get Cap Group of Companies”.